with the likes of Warren Buffett championing it. In fact, in his 2014 shareholder letter, Buffett recommended The Little Book Of Common Sense Investing (by John Bogle) over advice from most financial advisers. John Bogle is the father of index fund investing. He’s also the founder of Vanguard, which is one of the most respected and successful companies in the investment world. Index fund investing has become so popular that over 20% of all investment in the US equity markets is believed to be through an index fund. 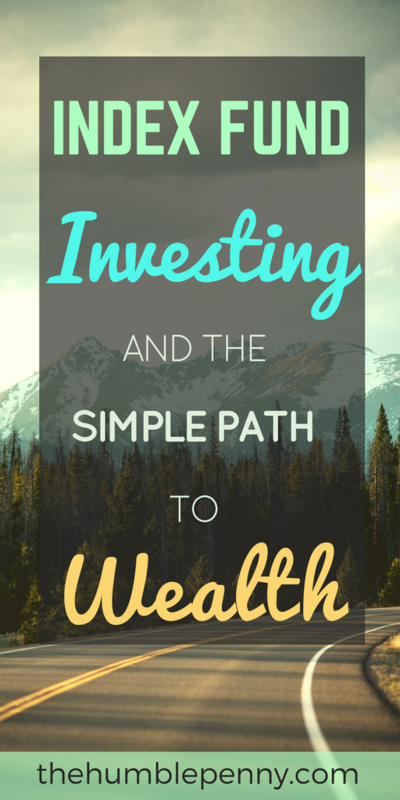 Most people consider investing to be quite complex and usually have no idea where to start. 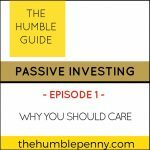 My personal approach to investing is to keep things simple, and index fund investing is one major way of doing this. This simple approach is also what Jim Collins writes about in his highly recommended book called The Simple Path To Wealth. When you invest through the stock markets, you’re pretty much buying assets that you will ultimately own directly or indirectly. You can either buy a piece through stock picking or you can buy into a basket of stocks themselves i.e. funds. Warren Buffet fits into all of the above, and as such can afford the time and resources necessary to buy specific companies as he does through Berkshire Hathaway. Although he rightfully promotes public index funds, he invests by creating his own private fund. For everyone else, the next best option via public Index Funds is very good. It is important to remember that whether you buy into stocks directly or indirectly, what you’re really buying into is an existing business. That business will have employees (often in the thousands), with livelihoods just like you do. When you buy into that stock or basket of stocks, they’re all essentially working for you. Thinking of this more deeply, if you’re seeking Financial Independence and investing through the stock market, then you potentially have tens of thousands of people (in different markets) working very hard for you to achieve freedom one day. I am sharing this aspect of investing in order to make this activity real for you. It is ultimately alot more than just logging into an app and executing a buy or sell order. Another reason I mention this is so that you can realise that your success through the stock market is only achieved by the hard work of others. Although you had to position yourself ofcourse to be helped. So when you see success, remember others in your own way. Given the popularity of index funds, it is important to understand what they are, why you should consider investing and what the risks are. Before diving into what an index fund is, it is worth explaining what the word “index” actually means. In a way, the index itself doesn’t actually exist! I.e. it’s an idea. It’s important to note that the index is just a list of stocks! Anyone can create one. Examples of an index include the FTSE 100 Index or the S&P 500, which are a collection of the largest 100 and 500 companies in the UK and US Stock markets respectively. Indexes help investors track the performance of the stock market. E.g. Movements in the 100 largest companies in the UK (FTSE 100) gives an indication of what is going on in the stock market and even the economy. Given indexes are pretty much a list of stocks, it means there are good, bad and mediocre indexes (i.e. lists). The FTSE 100 and S&P 500 are popular because of the reputation of the company that puts out the index (i.e. compiles the list). For example, the S&P 500 and Dow are owned by a reputable company called S&P Dow Jones Indices. The FTSE (Financial Times Stock Exchange) 100 Index is owned by a reputable company called FTSE Group. An index fund is, therefore, a basket of individual holdings (e.g. stocks or bonds) i.e. mutual fund that aims to track a particular index. Investing in an index fund makes the assumption that you’re are not trying to beat the market. This is counterintuitive because human beings naturally think they can beat the market, hence why they select individual stocks themselves. Index investing is a passive form of investing, which goes against the approach of active fund management. The latter involves a manager who actively (and expensively!) picks stocks believing he/she can outperform the stock market. What are the Advantages of Index Fund Investing? One of the biggest advantages of an index fund by far is costs. Investing in an index fund requires little or no upfront costs. Ongoing annual costs are typically anything from 0.04% to 0.25%. However, an active manager would typically charge you 5% upfront commission, followed by an annual management charge of around 2%. Costs play a huge role in the returns on your money over time and should not be underestimated. These high fees are what keep the industry afloat! One way to know you're investing in an index fund is to look at the Total Expense Ratio (TER). It would be very small relatively if it's an index fund. Investing in an index fund means that you own a piece of every company in the index. As such you benefit from diversification away from specific risk by nature. Think about it, over time, the makeup of the major indexes such as the FTSE100 or S&P500 change. This is usually due to performance I.e. only the companies with the largest market capitalisations remain on the index. This also means that if companies go bust for one reason or another, they simply drop off the index. You end up holding the best companies and with the best people working for you. This self-cleansing work is done for you essentially if you buy the index, rather than having to do this yourself through stock picking. Index investing removes the emotional and psychological aspects of investing. If you had a portfolio of 10 to 20 stock and 2 or 3 of them were performing very badly due to an industry shock such as the oil crisis, you’d likely be considering selling. 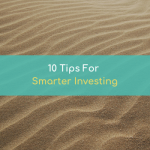 However, investing in an index funds removes your short-term focus as you’ll not see these bleeps play out explicitly in the price of the index fund. 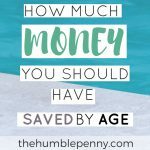 You’re therefore more likely to forget your investment (as you’re meant to) and let it work for you over the long term. You don’t need to be good at maths or understand how compounding or diversification works to get involved here. All you need to do is to get your act in order and get involved, investing consistently and over time. Index fund investing gives everyone the opportunity to get there share of stock marketing returns. These returns come about because over time a broad-based index fund typically returns on average about 7% gross. In addition, the super low cost of these index funds means that your net returns can build up and compound over time. Index fund investing is an important lever if you’re working towards your Financial Independence. Whether you’re in your wealth accumulation or preservation stages, you’d ultimately want to keep costs low whilst enjoying the best possible returns. 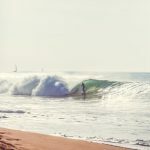 In working out how much money is enough for your Financial Independence and putting in place a suitable asset allocation, index funds will most certainly feature heavily as a path. What Are The Downsides Of Index Fund Investing? Although index fund investing removes “specific risk” associated with picking individual stocks, you’re inevitably exposed to market risk. Market risk is simply the risk that the market as a whole may go up or do over time. This is inherent and there is no escaping it. People who are extremely wealthy don’t really invest through index funds because their problems are on a whole different level. They typically have tax planning and succession issues to worry about. As such, they manage their money privately or through a major manager that can also offer the other services they require. This problem is ofcourse not relevant to most people! Most index funds are not intelligently representative of different sectors and industries. Indexes such as the S&P500 could be argued to be heavily weighted towards Financial and Tech companies. How Do You Invest In An Index Fund? Both have the same aim, which is to track a given index. Tracker funds were traditionally the name given to those that work like investment funds. ETFs are traded on stock exchanges like ordinary shares. Both traditional tracker funds and ETFs keep costs ultra-low as there is no need for expensive fund managers who try to pick winners for you. You can access these index funds through typical fund providers such as Vanguard, Hargreaves Lansdown The Share Centre etc. 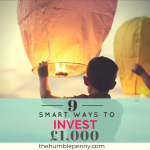 An important point to make is that you should ideally buy these within a tax efficient vehicle such as an ISA or a SIPP, so you don’t pay capital gains tax. How Do You Succeed Investing In Index Funds? Start investing as soon as you can and keep your investing consistent e.g. via a monthly direct debit. This not only encourages you to keep investing, but you also benefit from time diversification i.e. dollar cost averaging. Given there is a myriad of index funds out there, you want to choose one that is sufficiently broad-based. The S&P500, for example, gives one exposure to 500 of the largest U.S. companies by market capitalisation. These large companies typically have a global presence and earn income from various countries, offering diversification from that perspective too. Do your research and do what you think works for you. The key is to keep it broad-based. Behavioural biases lead to people often buying high and selling low. The more you can buy and forget, the better. I recall reading about a study Fidelity conducted on how Fidelity account holders had performed over time. The best performers were dead people, followed by the accounts of people who forgot they had an account at Fidelity. 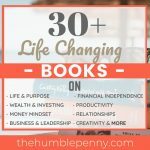 Having a long-term view (25 to 50 years for example) could be game-changing not just for your life but generationally as you allow time for compounding to work. Doing this automatically will add fuel to the compounding machine that is your portfolio. Stock market crashes are guaranteed events. If you believe and expect this, then it should stop you trying to time the market. What is more important than timing the market is time in the market. Instead, what to do in the event of a crash is to buy more units cheaply. The way to wealth for those in the investing business is to persuade their clients, “Don’t just stand there. Do Something”. I.e. Go stock picking. But the way to wealth for their clients in the aggregate should be the opposite, “Don’t do something. Just stand there”. I.e. Ride the index and let time work! Index fund investing and the passive movement is here to stay and there will continue to be a relentless push against it from the industry. You, however, now know what to do and how to remove complexity and demystify stock market investing. The question is, will you actually pull this lever as you work towards your Financial Independence?